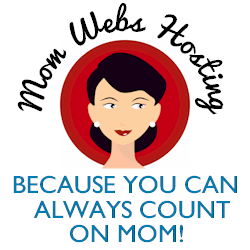 You are here: Home / Entertainment / Websites / Please vote for my daughter! It’s for a good cause. Please vote for my daughter! It’s for a good cause. As you may remember, I entered the Safety 1st ‘Too Cute to Spook’ Photo Contest last week. Voting opened up today, and I’d appreciate it if you could take 2 seconds and vote for my submissions! We’ve had a hard year, but know others have it far worse, so we’ve decided to ‘adopt’ a family this Christmas. If I win the contest, my prize will go to them, along with other things (like a Safety 1st Complete Air car seat that I reviewed back in August! ), so please vote! It’ll make it that much easier for me to truly make a difference in the lives of a special family this holiday season. You can vote once a day in each category, everyday until 11/19. I voted for both. Good luck to you guys! .-= Monica aka detroitmommy´s last blog ..The Circus Is Coming To Town =-. .-= Leticia- Tech Savvy Mama´s last blog ..Sesame Street: 40 Years of Sunny Days DVD Review =-. How cute!! I voted for those adorable girls!! I hope they win!! .-= Lisa´s last blog ..Lopez Tonight With George Lopez =-. .-= Ann´s last blog ..Little Blends Thermos Giveaway =-. They are so cute! Voted for both. .-= Dina´s last blog ..Link Your Giveaways Saturday: 11/14 Edition =-.